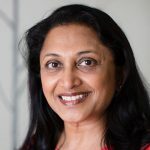 Shilpa Patel comes to ClimateWorks Foundation with a development banking, project finance, and climate policy background. Prior to joining ClimateWorks, she was an independent consultant for a number of organizations on climate finance and was Principal Advisor to the Finance Center at the World Resources Institute. Shilpa started her career in the World Bank, where she worked on private sector development across a number of sectors, regions, and economies in transition, including agriculture in the Maghreb. She headed the International Finance Corporation’s work on climate strategy and metrics, including understanding the climate change impacts of its activities, as well as the impacts of climate change on private business and IFC’s operations. She has also managed IFC’s investments in petrochemicals, as well as health and education, and run an experimental incubator for environmental business. She helped launch IFC’s first green bond and worked with institutional investors and other stakeholders to define green bond criteria and standards. Shilpa holds undergraduate and graduate degrees from the Wharton School of the University of Pennsylvania, and has taught courses on Project Finance at Georgetown University’s McDonough School of Business.